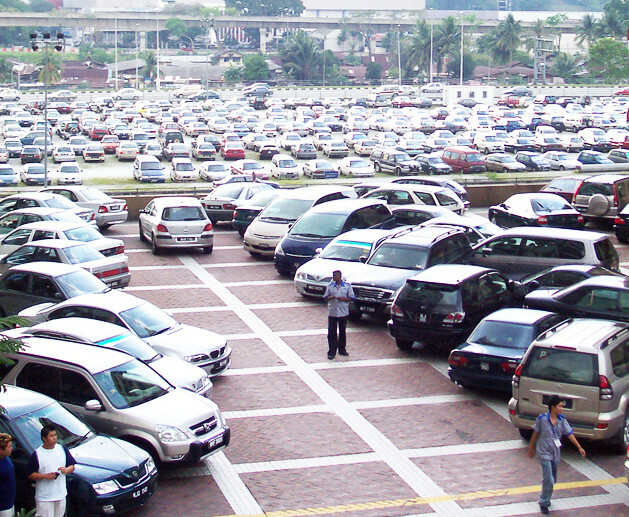 One of life’s frustrations could be consigned to history – or at least reduced – with the advent of Mechanical Parking Systems (MPS) which are currently being trialled in Singapore. A relatively common sight in Japan, and one that is already used in several hotels and private condominiums in Singapore, the system is being considered by the HDB to see if it is something that would be worth rolling out to more, or even all of its car parks. Changi Village was the first HDB to see the new system when it began operating in December 2015, and it is also the largest trial being carried out on the island. The other two car parks in the trial are situated at Yishun Avenue 4 and Bangkit Road, where MPS operations began in January 2016. The main aim of Mechanical Parking Systems is to reduce the time it takes for car owners to both find a free space and retrieve their vehicle and leave the car park. It also takes out a lot of the stress involved in trying to find one of the limited number of spaces available. The HDB reported that before the scheme was launched, motorists were having to queue for between 20 and 30 minutes to get into the car park at Changi, and then had to find an available lot after that. This time has been slashed dramatically, with on average, a driver being able to park and retrieve his or her car in 5 minutes during off peak hours, and between 10 and 15 minutes in peak hours. The fully automated system costs the same for users as traditional car parks and is open to visitors needing short term parking as well as residents with season parking. It works in the following way. On arriving at the car park, the motorist is assigned a car lift number by the gantry. They then drive their vehicle to and into that lift and park their car inside. After applying the handbrake, they exit the vehicle and lock the car as usual. Just outside the lift there is a keypad where the driver must enter a one-time PIN, the same number that is used later to retrieve the car. The system then automatically parks your car for you, in one of the empty spaces located over the 5 storey car park. To retrieve your vehicle you simply key in the PIN and your car is delivered direct to you. Some motorists expressed concerns originally about the scheme, mostly around the possibility of the cars being damaged, but the HDB were quick to alleviate any concerns. Any damage is extremely unlikely – less likely than with traditional car parks – and would be covered by the car park operators own insurance. Each MPS costs in the region of $18 million to build, and will have a 24 hour hotline where users can speak to someone in case of a problem. They are also fitted with back-up generators in case of power failures. With improved connectivity across Singapore, driving is never a necessity. Perhaps most importantly is to buy a place near the MRT station. There are several new launch condos that are near the MRT station and will be obtaining TOP soon next year.